Winter. You either love it or hate it, but if you suffer from winter allergies, it's probably the latter. Renew your love affair with this chilly season and protect your home and family by identifying seasonal allergy triggers and stopping them in their tracks. Whether or not you subscribe to the theory of global warming, the facts speak for themselves: in years past, freezing temperatures were the norm from November until March, but more recently, freezing and thawing in late fall and winter and higher than usual temperatures are the norm. For those suffering from winter allergies, the presence of winter pollen can cause a type of hay fever, with similar symptoms. Warmer temperatures allow outdoor molds to survive easier through the winter, but the real culprit may be inside your home. High levels of indoor humidity contribute to mold growth and should be kept between 30 and 40 percent. While the exact reason why is unknown, Christmas trees may cause suffering in allergic or asthmatic people. The strong pine scent, mold spores and/or pollen may be to blame. Launder bed linens and pajamas frequently in hot water to help kill dust mites. 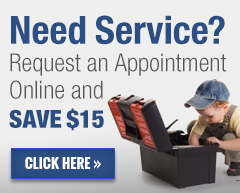 Change the air filter monthly with a high quality, high efficiency replacement. Check other posts about how to select the right filter for your system- sometimes the more expensive ones can create problems for your system. Use a humidifier or dehumidifier to keep humidity levels in check. Call for annual maintenance at the start of heating season to ensure the HVAC system is clean and in good working order. Use an exhaust fan, vented to the outdoors, when showering, cooking, running the dishwasher or doing laundry. Invest in a good quality vacuum cleaner with a HEPA filter to help trap allergens and prevent them from re-circulating. Inspect exposed ductwork, looking for signs of disconnection or cracks where dust or mold spores may be drawn in and contaminate your indoor air. Seal these with duct mastic or foil backed tape. For more great tips on tackling winter allergies, or any other HVAC concerns, give us a call at 855-996-5675.